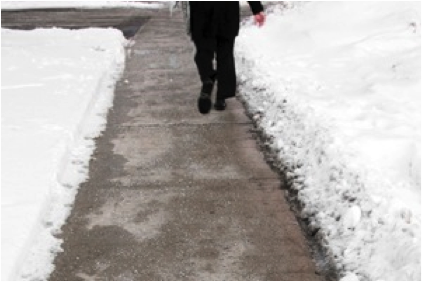 QUICKTHAW rapidly and effectively thaws all frozen surfaces immediately on contact by releasing energy in the form of heat. May be used as a preventative against frost, ice and snow by application prior to the onset of wintery conditions. Unlike rock salt, QUICKTHAW continues to be effective and prevents re-freezing down to temperatures as slow as -56°C. Due to its effective temperature range, QUICKTHAW is ideal for all safety critical areas such as doorways, reception areas, walkways, building entrances, pavements, walkways, external stairways, car park walkways etc. QUICKTHAW is cost effective in use as only a small amount of its particles are needed to ensure rapid thawing. Coverage is up to eight times more effective than rock salt. Simply spread QUICKTHAW evenly over the frozen surface to be treated for a rapid thawing action. As a preventative, apply prior to the onset of frost and snow.